Eric Ly and Jean-Luc Vaillant has continued to grow from strength to strength and gain more popularity. 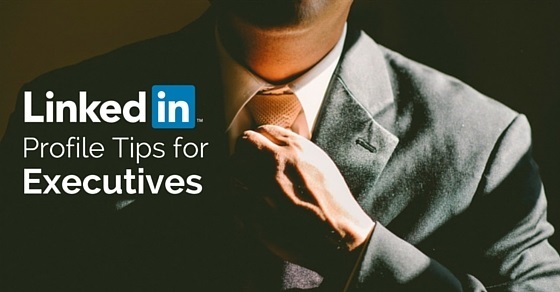 LinkedIn is a business related social media site which is available in 24 different languages, if you are an executive looking for some tips to help improve your profile, then you should make use of these simple tips that could really help. When you are a business executive in a private or government owned company, it is obvious that you are someone who is at the top of your game. Having stated this, it is vital that someone of your stature takes the trouble to ensure that their profile is well written and presented. Upon building your profile and filling in your particulars, it is important that you remember to place a profile picture. This picture need not be very fancy or showy, rather the more professional looking it is the better it will be for you. Usually executives have a headshot of themselves in a suit as a profile picture. If you are a business executive then naturally you will be someone who is on the lookout for your talent. It is irrelevant to mention that no matter how strong and capable you are now, you cannot continue on as an executive forever. Looking for potential employees on LinkedIn is a great idea indeed! Having said this, it is important that you realize that you should not trust everything which you read on someone’s profile; rather you should get in touch with them only if you have verified the details which they have mentioned on their profile and you are sure of what it is that you want. As an executive it is obvious that you are someone who has in-depth knowledge of your field and you are someone who is no new comer to the business world. One of the worst mistakes you can make is not making use of this medium to the best of your ability and simply remaining closed. In addition to getting in touch with individuals you can be a part of a number of groups on LinkedIn. No matter who you are, where your interests lies or what career field you are a part of, you can be sure that you will find groups which you can be a part of. The more you interact the better it is for you. As it has been mentioned above, being a part of groups on LinkedIn has its positives, yet at the same time it also has its negatives. Based on your discretion you can decide upon how active you would like to be on these groups and whether or not you would like to participate in the discussions which are held. There are some executives who prefer to stay away from this limelight as they believe that, if they become too addicted to these group discussions then they are going to be spending a lot of time online. At times remaining aloof and maintaining you dignity is very important as well, lest you will end up losing respect. As someone who holds such a top position, it is natural that you have a lot of old colleagues as well as friends who you would like to get in touch with, but owing to your busy schedule you are never able to contact them in any way at all. Since LinkedIn has become such an important business networking service, you can be sure that all your old colleagues and work friends have LinkedIn profiles. So take some time out to get in touch with them and you will feel immense pleasure finding out about how they are, what’s going on in their lives and most importantly how their careers have shaped up . If you are a business executive in a top company then you can be rest assured that there will be a number of people who will be viewing your profile, this having been mentioned you should ensure that your profile summary has been written well. Thinking of what to write for someone as accomplished as yourself might be a tough and challenging task, yet if you take some time out and spend some quiet moments thinking of what you would like to mention, you are sure to be able to come up with something. You should try your level best to sound like someone who is down to earn and humble rather than someone who is proud. What many people on LinkedIn do not know is that there are well over three million company profiles which have been made on this site. As an executive it is of paramount importance that you are well aware of what is happening around you and it is vital that you keep a tab on rival companies. Surviving and remaining a relevant part of today’s business world is most certainly not an easy task at all, yet as long as you continue to give your best and work as hard as you can, you will be rewarded for all your efforts. Executives are people with a lot of connections and in addition to this there are a lot of people who would like to connect with them and follow closely their ideas, thoughts and views. So if you do get the time, then you should make it a point to upload samples of the work which you have done on to your profile for people to see and appreciate. LinkedIn allows you to post your documents whether it is in PDF format, whether it is a document written in Microsoft word or excel. You even have the freedom to post pictures if that is what you would like to do. After all, a picture does speak a thousand words. No matter who you are or what you have been able to achieve in your career, no one will respect you unless you are a person of integrity. As an executive, it is important that at all times you are mindful about the manner in which you act and conduct yourself in general. If you are not mindful about the way in which you behave then slowly but surely people are going to begin saying negative things about you. This being said, in addition to behaving properly in person it is equally important that you ensure that you maintain a proper online presence by not posting things which are offensive or inappropriate. Executives are people who have been successful in life. The very fact that you have been able to reach such a high position in your place of work shows that you are someone who has learnt from his mistakes and taken the right decisions in life. If you are someone who is from a humble background, then all the more, you will have young people trying to follow in your footsteps and seek inspiration from you! So ensure that you act in the manner in which a responsible mentor would so that you are able to guide the youth in a proper manner, your guidance will be of immense help to them. If you are a business executive, then naturally you are very busy and might not have the time to come online every single day. This having been stated you should try your level best to come online as often as you possibly can so that people do not write off your profile entirely. You could always check your profile on the go owing to the fact that it has become so easy to access the internet even while travelling. Taking out five minutes from your busy schedule will help you be more informed. There is even a LinkedIn app which you can download on your mobile phone which will make things even more convenient for you. LinkedIn gives you the opportunity to even post links to your other social media profiles to this one. Connecting everything together is bound to make things even easier for you. So maybe you could opt to do this. However it is important to note that many executives prefer to keep their various profiles apart so that every aspect of their life is not on public display. Separating your professional life from your personal life is something which many people do and it is most certainly not a sin. So you should use your own discretion and think about what you really want to do. One of the worst mistakes you can make while building your LinkedIn profiles and filling out your particulars is leaving an aspect of your profile incomplete. When you leave your information incomplete then you silently communicate to the outside world that you are someone who leaves tasks midway and doesn’t take things seriously. So ensure that you do not either fill in your profile too much in a hurry or even go ahead and leave it midway. Just because you have achieved success it doesn’t mean that you are a know it all. As an executive, naturally you are interested in the business world, so there is no shame in connecting with your peers and interacting with them on topical issues which interest you. As an executive, you should make it a point to look at LinkedIn as a medium through which you can broaden your network as well as interact with new people. If you have a well written profile then you might be able to attract a number of clients and even investors. It can be used as a medium by which you can further your career even more. Even if you are an executive and have a reputation to hold on to, this does not mean that you only interact with people of your own stature. In addition to this , It would also benefit you greatly to interact with people from other fields as well. In conclusion after going through the list which has been given above it will be clear to you that these things are most certainly easy to do. As an executive in a company, it is of paramount importance that you post things which is befitting of someone of your stature. The moment you start posting things which are inappropriate then people are most certainly going to think less of you. Climbing the ladder of success is a tough task indeed, yet even tougher than that is trying to retain this position which you have reached. Even a slight error on your part can really tarnish the name which you have spent years trying to build.